It was in great shape, sturdy and made of real wood. It had a few scratches on it, but honestly nothing that furniture polish won’t hide. The glass easily lifts out, and I advise finding a piece of furniture that has a similar feature because it will make the conversion process infinitely easier. Set them aside for later. To create the moss I bought two 14″x48″ Ashland Moss Table Runners from Michael’s, measured and cut them to fit beneath the frame. DO NOT try to put it directly where the glass sits, it will not lie flat enough to secure. You’re also going to want to snag some silk flowers. I suggest small wildflowers, they’ll look the more natural. I used two different colors. Cut the flowers very close to the bud, so you just have a small bit of stem, and hot glue them onto the moss. Try to keep it random and like a field. I recommend placing everything down before you actually glue anything. After that was all secure, I flipped the table carefully over and hot glued the two strips to the bottom. Careful of your finger tips! The hot glue will seep through and burn you. But hey, then you can commit the perfect crime. No finger prints. I made sure to pull things tight and secure them at every point I could, especially the center beam to prevent any sagging. Go ahead and flip it onto its side, but the top should look like this! With the flowers completely done of course. With the table on its side, secure the battery pack of the LED, battery powered twinkly lights to a place where you will be able to easily access the on button. I used Heavy-Duty Scotch Fasteners so I’d be able to replace the batteries easily and if needed, be able to swap out the string of lights itself. Next I used small pieces of duct tape to secure the wire in swirls beneath the moss. From here you can actually flip the table back on top and you’ll want to get a needle and green thread. Double thread your needle and start securing in places where you taped. This is the really tedious part, so it will take a while. It’s my Netflix and Craft bit. Make sure all knots are on the under side and since the netting is wide, you’ll need to secure your knot to the netting. If you’re not familiar with sewing, it’s pretty simple. To do this, simply come up through the netting as if you were going to do a normal stitch, then before pulling the thread all the way through, take the needle back down through the moss and pull it through the two threads before the knot until tight. There is probably a less complicated way to describe this, but I don’t know how. 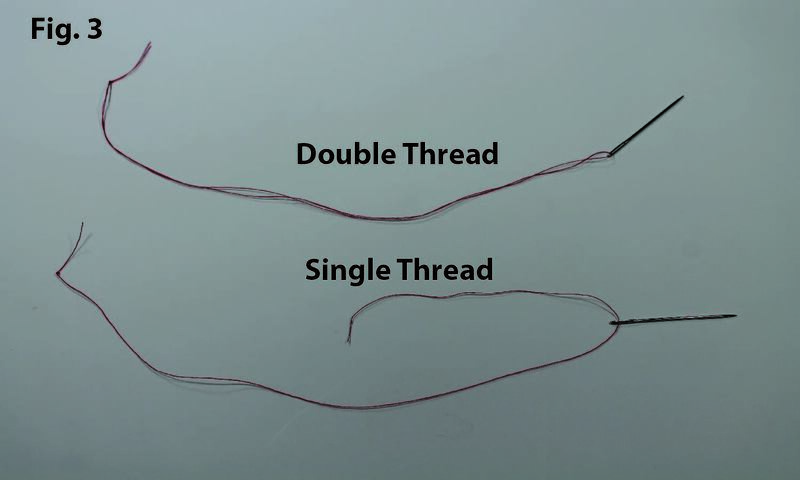 If you did it right, your thread will now be wrapped around that one space like a slip lead. Then you can just loop your thread around the wire in that space a few times, and move to the next place to secure and so on. A table that Bilbo himself would probably love to have in his own den. I’ll be happy to answer any questions you might have, and if you do make this on your own, please leave your own creation in the comments below!